Organic Valley, the farmer-owned cooperative of more than 1,800 organic family farms, is launching a holiday campaign that defends one of America’s favorite foes of the post-WWII era: delicious, creamy butter. 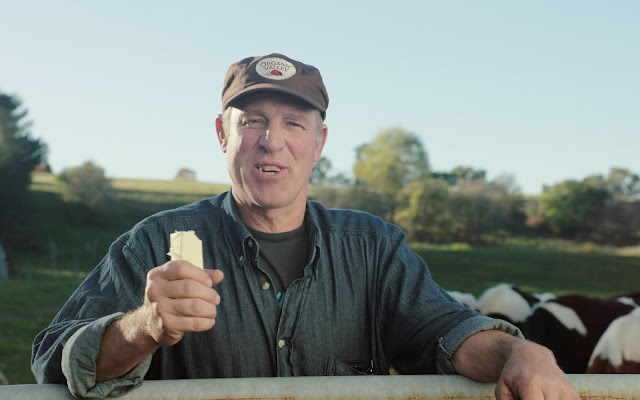 The co-op has an advertising arsenal that includes a video featuring its own farmer-owners, and a live-streaming website where they will be sculpting the faces of our nation’s “War on Butter Heroes” in real time out of Organic Valley’s organic, pasture-raised butter. The campaign, created by the Chattanooga-based Humanaut agency, has a long-form video that celebrates the end of the “War on Butter,” the true story of how butter and fats were once blamed for every negative health trend from obesity to heart disease. The “solution” was an increase in butter replacement spreads and sprays made from artificial ingredients and the increase of low-fat and fat-free foods that often upped their carbohydrate quotient (read: sugar) to compensate for flavor. As a result, we have been denying ourselves the extraordinary taste, richness and texture of real butter for decades. Fortunately for our taste buds, the family farmers at Organic Valley were working “underground” to make organic pasture-raised butter even better while this butter battle raged. Organic Valley introduced the first organic cultured butter in 1991, and it has since won 46 awards for its premium butters, which include salted, cultured, pastured and high-fat European-style. Most batches are still slow-churned using vintage churns at the cooperative’s creamery in Chaseburg, Wisconsin. While the War on Butter may be over, Organic Valley is getting busy. 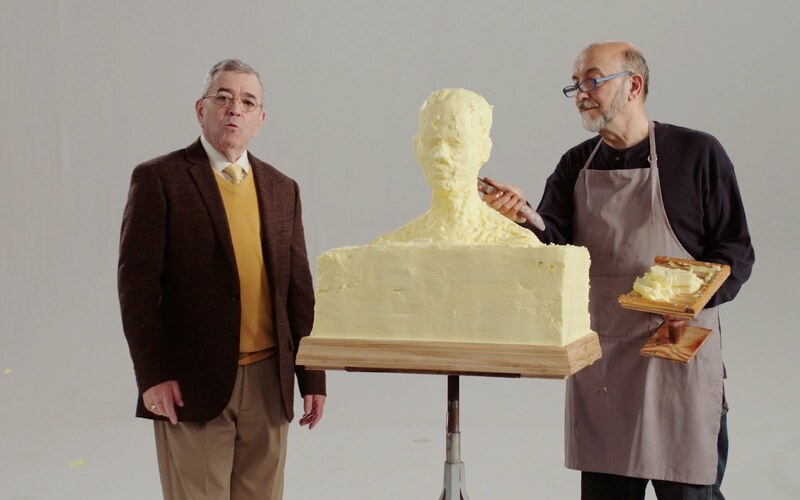 To commemorate the occasion, artists will live-sculpt the faces of our nation’s Butter Heroes out of organic butter at TheWarOnButter.com. The effort will kick off with a sculpture of George Siemon, a founding farmer of Organic Valley and “CEIEIO” of the pioneering cooperative. From November 15 to 22, the public can nominate their own Butter Heroes via Twitter and invite friends and family to vote for their favorites. Each day’s winner will also be sculpted in real organic butter. The site also features coupon offers for Organic Valley butter, showcases mouth-watering recipes such as Maple Pecan Pumpkin Bread and Chai Snickerdoodles, and elaborates on Organic Valley’s philosophy that slow-churning in small batches using milk from pasture-raised cows results in better butter.